On top of the rear end housing, remove two 19 mm bolts connecting the torque arm bracket to the housing. 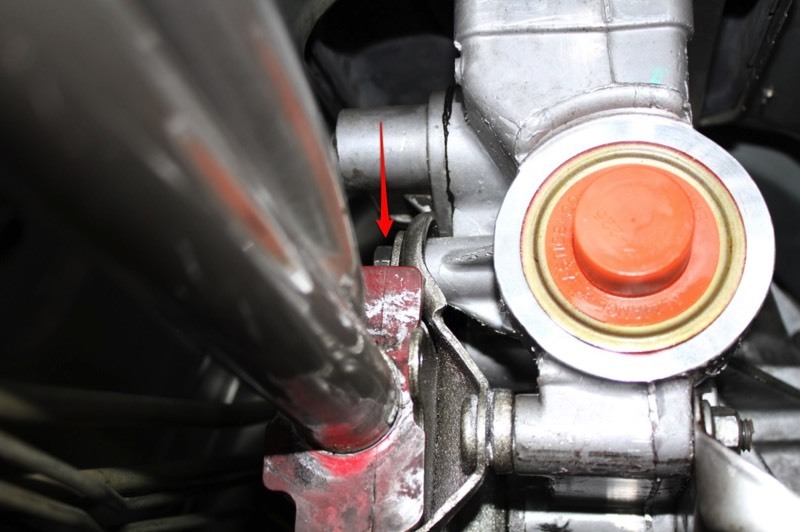 Also remove the two 19 mm bolts connecting the torque arm bracket to the bottom of the rear end housing. Remove the 15 mm nut on the driver side of the transmission at the top of the torque arm bushing. 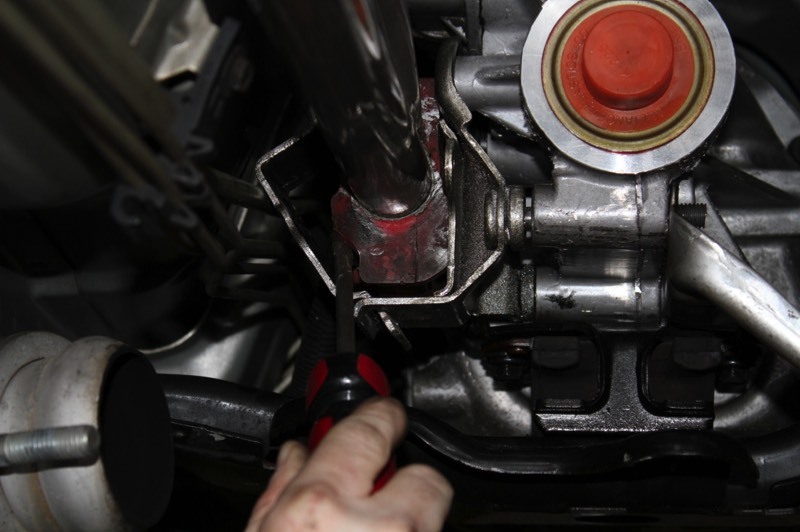 Using a screw driver between the mount and torque arm bushing, gently pry apart the housing. Slide the torque arm forward and remove the torque arm. 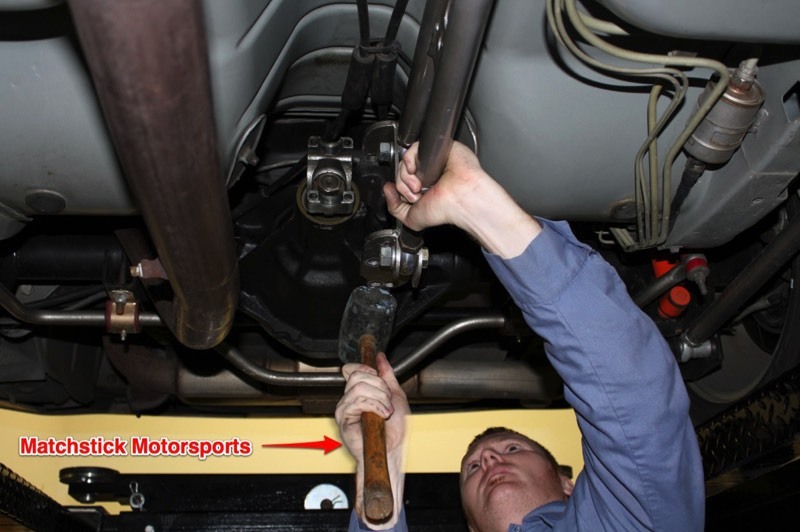 Using a rubber mallet, tap the rear of the torque arm towards the front of the car. The torque arm should clear the rear end housing and drop down enough to slide it back toward the rear of the car releasing the front of the torque arm.